The retina is the specialized light sensing nervous tissue at the back of the eye. There are a number of diseases which affect this structure in all species. 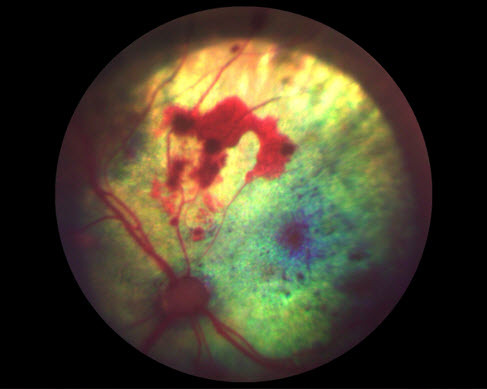 Diseases of this tissue can result in altered vision and even lead to complete blindness. By using specialized equipment in combination with our years of experience and knowledge we can accurately diagnose and offer specific treatment for these conditions.